I've been aghast that the Republicans have methodically passed up competent politicians over and over again for the likes of Trump and Caine. But then, it isn't about any sort of rational policy or winning arguments -- winning the argument no longer matters, it's that the argument never stop. 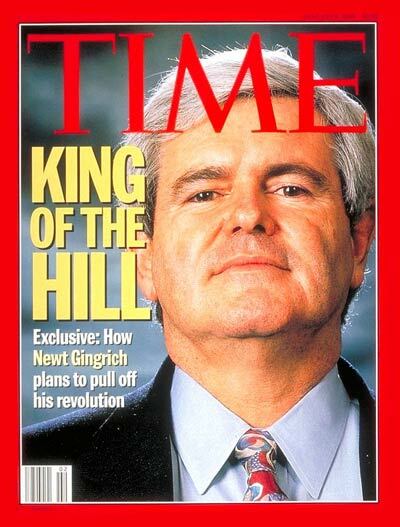 And Newt will deliver that. Not Romney, not Huntsman, not even Christie. Lots of conservatives would do well against Obama, policy and competency wise. But they have picked the most garrulous, symbolic candidates they could find, and for a reason. Personal note note: You should have been working the phones in Wake County. They were plenty brutal to 14 year olds. I couldn't stand to go to the election night party after that -- too blown out that adults could be so mean. If Newt is the nominee, Bill Clinton better make sure he's well-rested because that guy is going to be incredibly busy. I just keep imagining Clinton going all over the country saying, "remember me, remember how how treated me...remember the government shut-downs...remember SS and medicare don't get paid during a shut-down."